By incorporating the Agile principles of “build, analyze, learn and improve” into our methodology, we can make recommendations to ensure you get the best possible results as quickly as possible. technical expertise. quality driven results. Our developers and consultants are experts in their technical domain, with vast experience in all stages of the software development life cycle. They will guide you in selecting the right technology platform and carry it through from conception to final delivery. Having worked with clients across various industries, our teams can quickly grasp your business and ensure a scalable, reliable and easy-to-maintain solution tailored to your needs. We also aim to maintain a company culture that encourages mutual ownership, building quality into the delivery and most importantly, making sure our developers have a workplace that stimulates a flow of ideas. It’s not just about delivering the code—it’s about finding the solution that will best meet your business objectives and deliver the results. We combine the elements we believe are most critical to success – ensuring our development teams have the best environment that fosters innovation and creativity, focus on the business value and continuous learning. Our smaller team units of 2-8 developers are all involved in the planning and delivery. They are inspired and dedicated to transforming the business requirements into technical solutions using their experience and professional knowledge. Progressive development teams all collaborate proactively with our clients, ensuring each team member can bring in their strengths in particular technology or industry into the project. This is different to the traditional outsourcing model that is mainly focused on output. Our service model offers you both flexibility and stability. 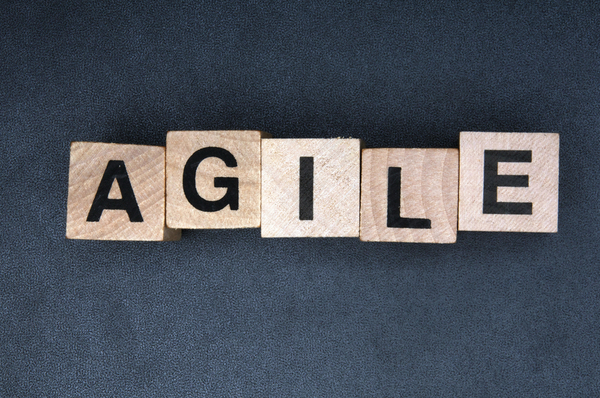 Our agile methods and mindset is very adaptive to client needs and any changes. We can adjust the team sizes and project approach according to our client business needs. That is the advantage of working closely with our clients. Our collaborative culture and focus on growing our greatest asset; our people, inspires everyone to deliver consistent value. Most of our clients stay with us long-term, working with the same core team that has already demonstrated their deep understanding of client’s applications and business environment..
Every project starts with a vision, a business need or opportunity. We take time to understand the background and develop a plan or estimate that quickly confirms the main priorities and helps set the project on the correct path right from the start. Our capabilities give us the ability to work direct with our clients. We can work with your product owner or main contact, or even provide you a product owner, who acts as the focal point for all requirements, product vision and stakeholder communications. In the development cycle our team prioritizes requirements into multiple iterations that have comparably short development times. In addition to following best practices and utilizing the latest development techniques, we will frequently review all progress with you and deliver usable, incremental pieces of software per iteration. The process is completely transparent and changes can be quickly incorporated into the backlog. Agile development promotes continuous delivery and the team is empowered to adjust the project direction to become most effective. Self-organizing teams and motivated individuals are able keep up the pace and capture the best solutions. Let us show you the benefits of a relationship with Progressive. Share with us a specific requirement such as a module or function point that needs further development. Then try our services risk-free for one week. You’ll learn about our working methods, development efficiency, and other capabilities—all before signing a final contract. Start a trial project now, risk free.